Cyclotron Road is a fellowship program at the Lawrence Berkeley National Laboratory (LBNL) supporting leading technology innovators and empowering them to mature ideas from concept to first product, positioning them to align with the most suitable commercial path to bring their technology to scale. A cohort of entrepreneurial scientists and engineers are recruited annually. For two years, the innovators are embedded in the Berkeley research ecosystem, where they are provided funding, access to LBNL and UC Berkeley, and a program of intensive mentorship, education, and networking. Treau is a seed-stage hardware startup in San Francisco, CA making home heaters and air conditioners that are better for the environment, easier to install, and more pleasant to use. Helux is developing a prototype light fixture that combines solid state sources and micromirror technology for real time, spatially dynamic illumination. Developing systems that put light only where it is needed can reduce energy consumption and improve well-being by eliminating glare and wasted light. Takachar is focused on dramatically increasing the amount of waste biomass economically transformed into marketable products around the world. Using a novel concept called oxygen-lean torrefaction, we are simplifying reactor design to enable small-scale, portable, and decentralized biomass conversion that cuts transportation cost by about 30 percent. Innovation Crossroads is a program at Oak Ridge National Laboratory (ORNL) to help entrepreneurs create the next generation of clean energy companies. Innovators are matched with technology leaders, experienced mentors, and business and investment networks that accelerate the transition of their world-changing ideas to the marketplace. SkyNano focuses on a low cost manufacturing technique of high value carbon nanotubes, using only inexpensive materials, electricity, and carbon dioxide as direct inputs. Our technique relies on electrochemistry, rather than solely catalysis, and results in a highly efficient process to convert atmospheric carbon dioxide into useful functional nanomaterials. Chain Reaction Innovations (CRI) is a new two-year program at Argonne National Laboratory (ANL) for innovators focused on energy and science technologies. Through an annual call, four to six teams are selected to join CRI. The goal of CRI is to give the nation’s brightest energy and science innovators the best chance at success. Jolt Energy designs flow-batteries based on new chemistry for grid-level energy storage. Jolt Energy Storage Technologies is using molecular design principles to create organic compounds that could revolutionize the field of energy storage. Accelerate Wind is using a systems approach to drastically reduce the cost of distributed wind energy generation. This includes: use of patent-pending technology to reduce the cost of the generator and inverter, use of accelerated flows around buildings, and a market entrance approach centered around reduction of soft costs. Mesodyne is developing a novel fuel cell based upon a thermophotovoltaic technology that can dramatically reduce weight and footprint needed for mobile small-scale power currently provided by battery packs. The Center for Collaboration and Commercialization (C3) serves as a “front door” to Sandia National Laboratories, providing access to the labs and building linkages with the community. It is a place where Sandians and their industrial, academic, and government partners can interact easily and freely. Programs housed within C3 include Entrepreneur Exploration (EEx), Entrepreneurial Separation to Transfer Technology (ESTT), and the New Mexico Small Business Assistance (NMSBA) Program. SkyAI is an end-to-end capability solution using autonomous UASs that employ a multi-modal sensor to inspect wind turbines and AI driven analytics to provide predictive condition-based maintenance recommendations to wind farm operators. AeroMINE (Motionless INtegrated Extraction) patent-protected wind energy harvesters offer safe, distributed electricity generation with no external moving parts. AeroMINEs easily integrate onto existing buildings and have large swept-areas. They are transformative in effectiveness, safety and reliability in the distributed wind energy market. At Los Alamos National Laboratory (LANL), the Richard P. Feynman Center for Innovation (FCI) sustains a culture that revolves around converting new ideas into solutions. This conversion is facilitated by aligning laboratory capabilities with industry challenges and with the country’s need to protect against threats. FCI’s function also includes regional development by connecting small business with technical capabilities at LANL. Pajarito Powder is a venture-backed manufacturer of catalysts and Engineered Catalyst Supports (ECS) for Fuel Cell Electric Vehicles (FCEV). Our proprietary VariPore© manufacturing platform provides the basis for our high performing, highly durable catalyst products, manufacturable at scale, now and into the future. 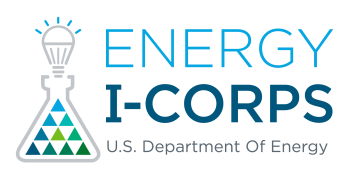 Energy I-Corps aims to accelerate the deployment of energy technologies by granting DOE laboratory scientists and engineers access to direct market feedback on their technology offerings. The two-month program empowers teams with the tools, resources, and relationships necessary to discover potential market pathways for their innovations. Teams return to the lab with a framework for industry engagement to guide future research and inform a culture of market awareness within the labs. Energy I-Corps ensures the investment in the national labs is maintaining and strengthening U.S. competitiveness long-term. CuB Fuels empowers automotive manufacturers and oil refineries to improve fuel economy and meet regulatory mandates while increasing their gross profits by offering a proprietary catalyst technology that yields high-octane synthetic on-road and aviation gasoline blendstocks from renewable domestic resources. The General Line Ampacity State Solver (GLASS) software package provides utility companies with the ability to use dynamic line rating to adjust power production through their grid network and allow for deferment of costly transmission line upgrades or new installations. SwitchGlaze technology is the first demonstration of dynamic photovoltaic glass. The product is a highly transparent coating that responds to solar illumination by tinting to "switch" the coating into a photovoltaic device that efficiently harvests the sun's energy and simultaneously provides glare control for enhanced building efficiency and occupant comfort. Iris Light Technologies is developing a compact, color-versatile laser that is compatible with commercial opto-electronics manufacturing. Iris’s technology leverages the tremendous investment into silicon electronics infrastructure to create miniature light-based circuits. This field is called silicon photonics and it works synergistically with electronics. There’s one glaring problem to this story. While many components are solved, a silicon-based laser remains a critical missing need for silicon photonics. To solve this problem, Iris has developed an entirely new class of hybrid laser combining a light emitter nanomaterial ‘coating’ to functionalize the silicon surface. Our platform technology enables applications in optical sensors, telecommunications, data center communications, and medical imaging, and is an essential element to continue fueling the 22% CAGR of the $1 billion dollar silicon photonics market. Our mission is to transform the waste and energy landscape by producing low-cost, renewable products from organic waste streams to move industries and communities towards closed-loop operations that save money and improve sustainability. Electro-Active Technologies is focused on transforming waste into renewable products. We are developing a modular system that can be placed onsite to convert waste into renewable products, including hydrogen. This will enable companies and communities to reinvest their waste for added value and improved sustainability. Experts have identified the electron beam (EB) treatment of wastewater as a promising approach for treating the enormous quantities of contaminated water created by a growing worldwide population. Historically, the lack of EB systems capable of treating high volumes of water cost-effectively has been a barrier to commercializing the technology for the environment. Fermi National Accelerator Laboratory (Fermilab) has incorporated several new technologies into a novel EB accelerator that can treat high volumes of water at relatively low cost. While this has application in treating multiple contaminants in drinking and wastewater (pharmaceuticals, agricultural run-off, viruses, bacteria, organics like PCB, TCE, and aromatics), it can also treat perfluorates. This is of special interest because existing, conventional water treatment technologies do not treat perfluorates effectively. At Fermilab we seek funding to de-risk the EB technology. We aim to do proof-of-principle, bench-scale work to determine how much power is needed to break down the perfluorates. This will help us determine operating costs and finalize machine parameters to build a demonstration unit. IN2 is a technology incubator and platform funded by the Wells Fargo Foundation and co-administered by the National Renewable Energy Laboratory (NREL). IN2 is positioned to help companies think about their end customer, providing technical assistance that leverages the capabilities, facilities, equipment and the deep expertise that exists at NREL as well as the buildings portfolio of Wells Fargo to help companies derisk technologies and ease their path to market adoption and deployment. IN2 has accepted four cohorts totaling 25 companies to date—all working on innovations in the commercial buildings sector. In 2019, IN2 will be expanding focus with a cohort in the AgTech sector. NEXT has developed low-cost, printable, transparent coatings that are seamlessly integrated into windows, allowing for the harvest/conversion of light energy for use as onsite renewable power. NEXT's cutting-edge solar technology will enable widespread adoption by being the first building-integrated photovoltaic (PV) window to allow architects and building owners to transform windows and glass facades into energy-producing assets with unsurpassed aesthetics, performance and economics. Ladybug Tools is a collection of computer applications that support environmental building design and planning, with the goal to develop cloud-integrated services that enable existing users to model larger districts and explore greater numbers of design options while making the technology accessible to a wider audience. 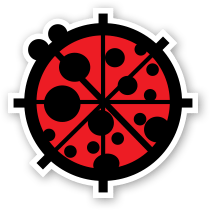 Ladybug Tools is the only open source interface that unites all of its underlying open source engines, which evolves through the consensus of an open community of experts. 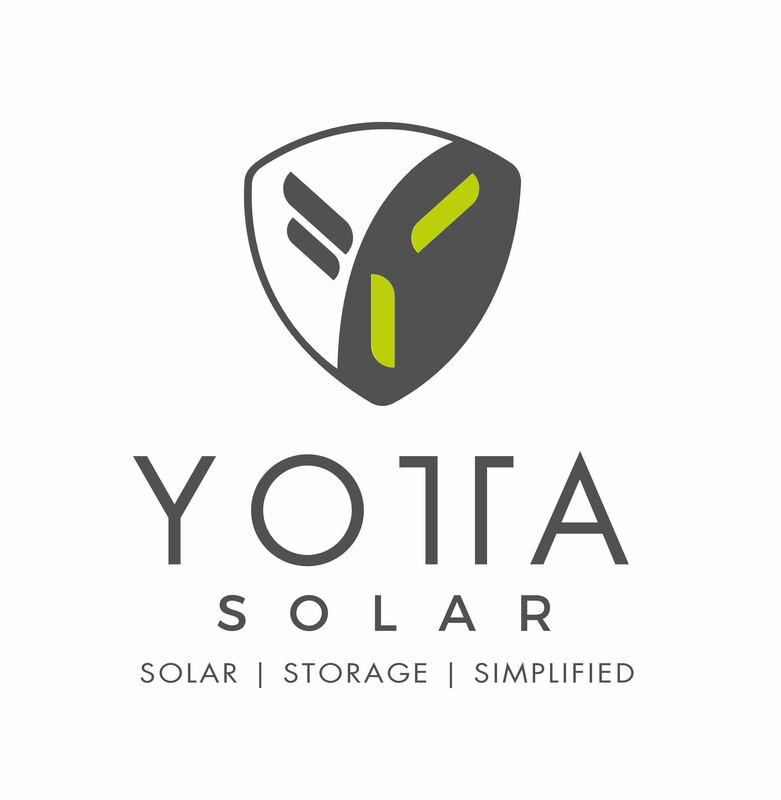 Yotta is developing a modular energy storage device, SolarLEAF™; battery storage integrated with photovoltaic (PV) installation designed to reduce cost and expand development of energy storage and grid resiliency on commercial buildings. SolarLEAF™ will expand solar energy use by reducing the soft costs of designing, installing, and maintaining an energy storage system compared to traditional centralized systems. 75F offers a vertically-integrated suite of wireless sensors, equipment controllers and cloud-based software delivering predictive, proactive building automation right out-of-the-box. Easy enough for elementary students to install and configure, 75F lowers install time and related costs. UbiQD is a cleantech nanomaterials company that manufactures quantum dots (QDs) and polymer composites. This platform technology is a “drop-in” solution for existing window products in urban buildings and greenhouses, and provides partially transparent sunlight harvesting that can cover the facades of buildings while allowing in natural lighting and improving energy utilization by reducing heat gain and lowering electricity needs. The Colorado Innovation Corridor, a new platform to connect premier, federally funded labs with private industry, will be co-anchored by the University Corporation for Atmospheric Research (UCAR) and the National Renewable Energy Lab (NREL). The partnership is designed to foster economic development and job creation. Emrgy is pioneering a modular and compact approach to implementing new hydroelectric installations. The designs of Emrgy’s technologies are based on a standardized cost-effective approach that utilizes both proprietary designs in the turbine and drive train combined with readily available (i.e. off-the-shelf) components to deliver a complete water-to-wire system. From a university research project with a group of just 4 mechanical engineering students, Borealis Wind is transforming the cleantech industry by identifying the problems currently affecting renewable energy. Borealis Wind has designed a wind turbine de-icing system that is effective and requires low maintenance, while also being simple to install as a retrofit.